Today’s townland of Bangor Bog is very small, only 19 acres of land on the western edge of the town of Bangor in County Down, beside Bangor Cemetery. Maybe that small size is why its name isn’t widely known. Or maybe people just shy away from announcing that they live in a bog. So how can I prove it exists? Here is a screenshot from a government website. 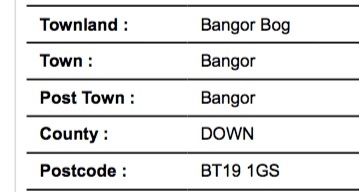 Northern Ireland’s Land and Property Services Valuation List gives these details for the street called Ballykillare Terrace. No matter how much that street wants to believe it’s in Ballykillare townland, the List insists that it’s in the Bog. PLACENAMESNI states that there is no evidence that the townland name Bangor Bog ever existed in Irish, so it may have just been coined in English. However, I was interested to learn that the English word “bog” actually comes from the Irish word bogach meaning “soft ground”. Despite the unappealing name, Bangor Bog is actually a lovely place. The bog has been turned into a children’s playground and a sports centre. 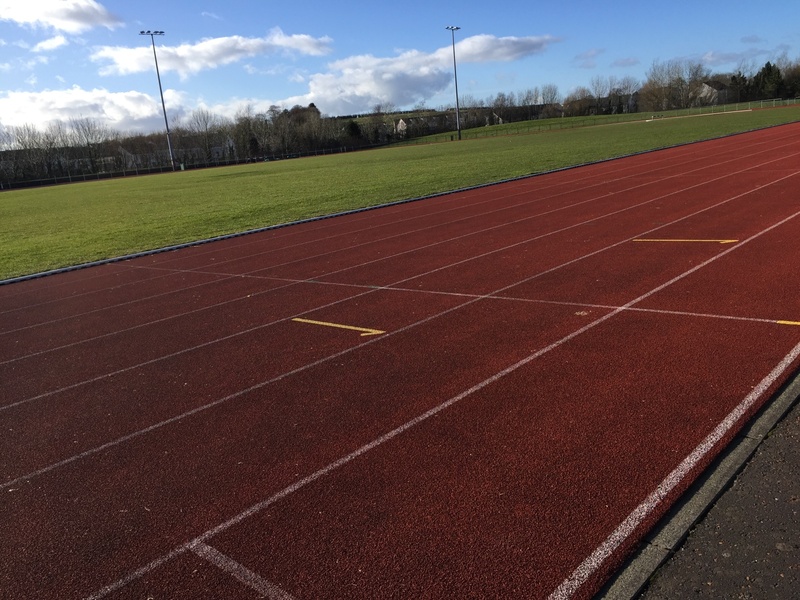 This is the athletics track at Bangor Sportsplex. The houses hiding behind the trees are part of the new Killaire Wood development in Ballykillare. 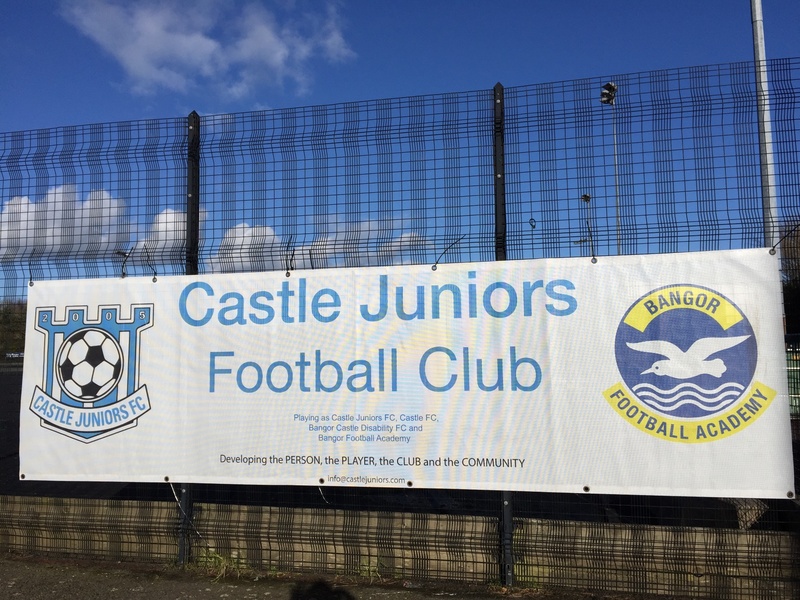 Sportsplex has football pitches as well, but none of the football teams have adopted the townland name – there’s no Boggy FC. Which townlands border Bangor Bog? Ballykillare, Carnalea, Ballymullan and Ballyvarnet. Click here for a map of Bangor Bog on Townlands.IE.